Tune in at 3:30pm this Wednesday on The Home Stretch for a live performance from Matisyahu in KXCI's Studio 2A. Known for his music blending reggae, rock and hip hop with traditional Jewish themes, Matisyahu returns to the road for a limited run of special acoustic performances. 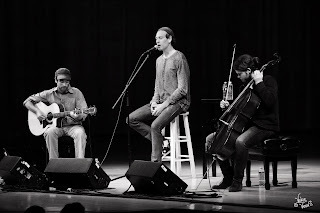 The Rialto Theatre presents an Acoustic Evening With Matisyahu on Wednesday, January 30th. Doors open at 7pm for this all ages, reserved seat show.